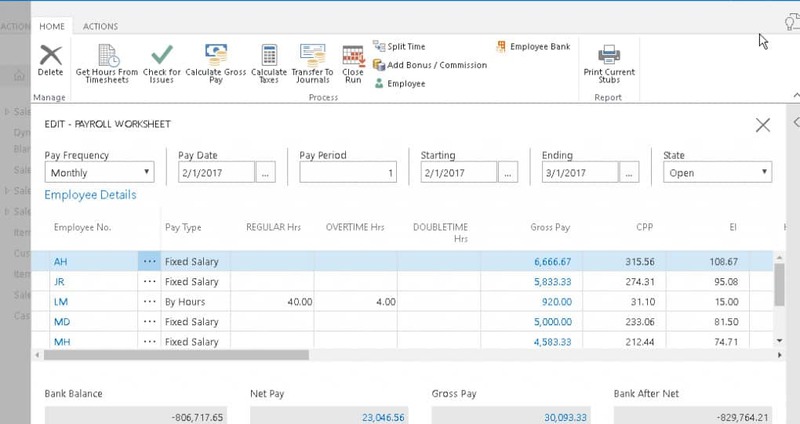 For anyone responsible for payroll runs who want to simplify the process, Canadian Payroll for Dynamics NAV is a complete Canadian payroll solution that is easy to set-up and use. Canadian Payroll helps you pay and manage hourly and salary-based employees. Canadian Payroll seamlessly integrates with Dynamics NAV. No need to involve your tech support guy. Use the powerful Microsoft NAV built-in bank integration to pay employees electronically. Employees can access their current and historical payslip details at anytime.